Wagjag does it again. I found an amazing deal for an icewine tour, grabbed a friend and off we went! Operated by Round Trip Tours, they picked us up in a comfortable coach bus with a fabulous Round Trip Tours rep, Tony D.
There were four stops; Trius Winery, Konzelmann Estate, Peller Estates & Vineland Estates Winery. Trius was our first stop. We arrived early which gave us time to explore their large gift shop and tasting bar. 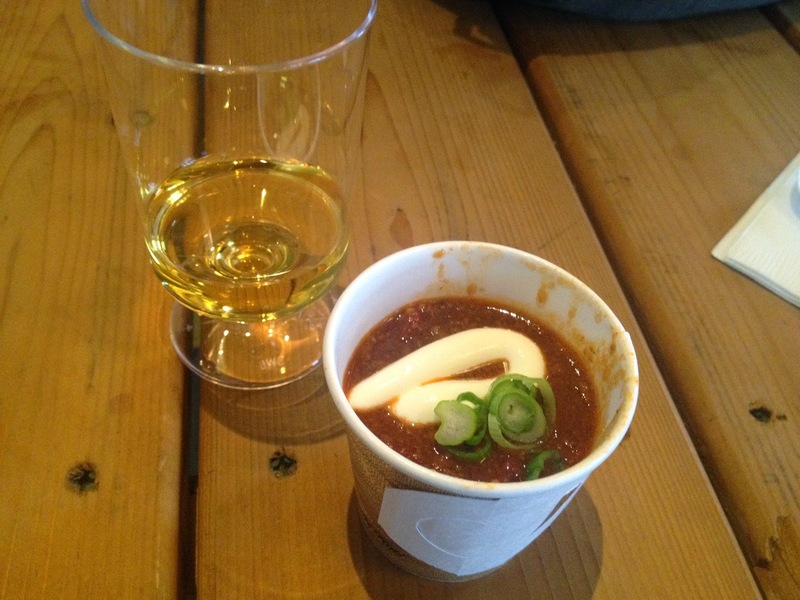 We explored the beautiful property with a delightful guide and were served Trius Vidal ice wine and beef chili. The wine was very sweet; I would only have 1 glass in a sitting. 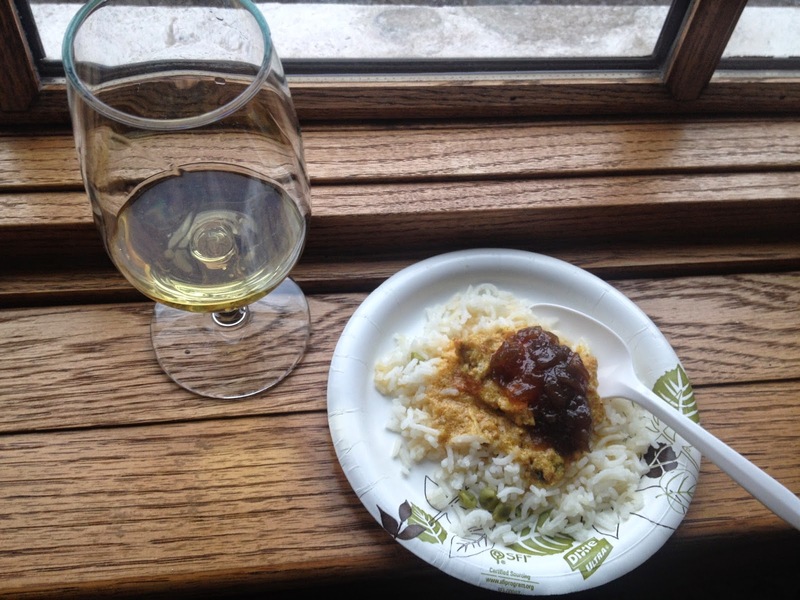 Being new to icewine, she went over the process and talked about the history of the vineyard. She told us about the restaurant and the fireplace-heated lookouts. It was a cold day, so the heat was welcome! Next was lunch and a tour of Konzelmann Estates. This place is gorgeous. The outside is epic, the inside is epic. Very esthetically pleasing! Lunch offered the choice of Braised Alberta Angus Beef on a bun with garden salad or roasted red peppers, grilled zucchini, avocado and goat cheese on a bun with garden salad. I chose the beef sandwich and it was alright. I saw someone that ordered the veggie option and it looked really good. If you have a gluten free diet, they will provide you with a giant salad. In the 'lunch room', you could purchase any glass of wine for $5. We also tasted 2 wines there; a delightful peach wine and bold shiraz. I see why the peach wine is their top seller. It's the type of wine you don't need a bottle topper for because there will never be any leftover. 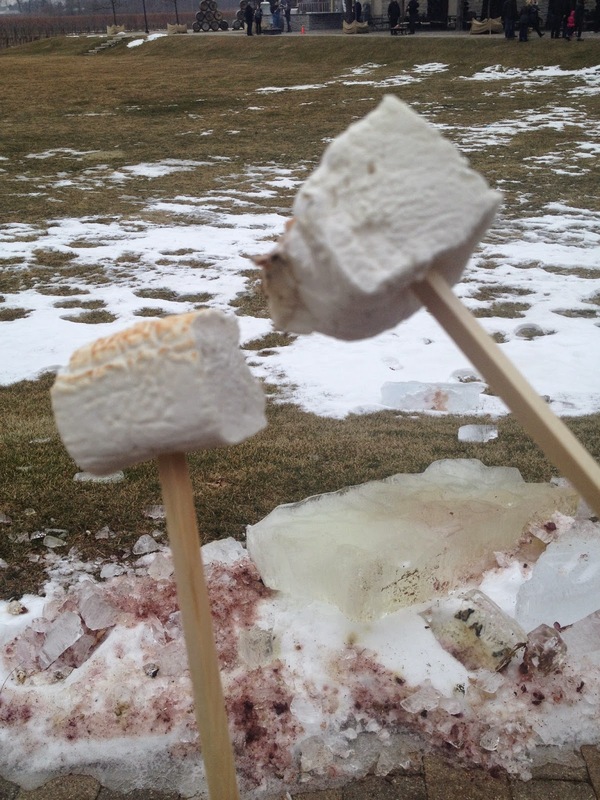 From there, we hit Peller Estates for the infamous Icewine Marshmellows. Everyone I told about this tour immediately got excited about these marshmellows. Into the cold, we got our marshmellows and icewine. The marshmellows were ok, not really that special. The icewine was strong; a sipper, if you will. The estate very busy and we felt like we were in the way. It was a struggle to walk through the gift shop. We had no guide here; it was very impersonal. Not my favourite stop. Last, but definitely not least, was Vineland Estates. We were brought into a stone cottage where we met our guide, Andre. He was great! We probably learned the most about wine and growing at this stop than any other; a wealth of information with some humour thrown in. He taught us how to taste wine and pair it. So, if a server asks you if the wine is ok, we know what to look for! The chef presented us with cassoulet. I didn't know what it was either, but it's a slow cooked stew. Fantastic! It's was a little mellow for the Merlot, but both were enjoyable. What a great tour! I hope to see more tours like this that will pick me up all the way over in Whitby. It was a long day, but it was worth it. We learned a lot and got to try many wines I never would've tasted. Tony D. was kept us awake with his terrible jokes and the driver was very safe. Makes me wish I lived closer. 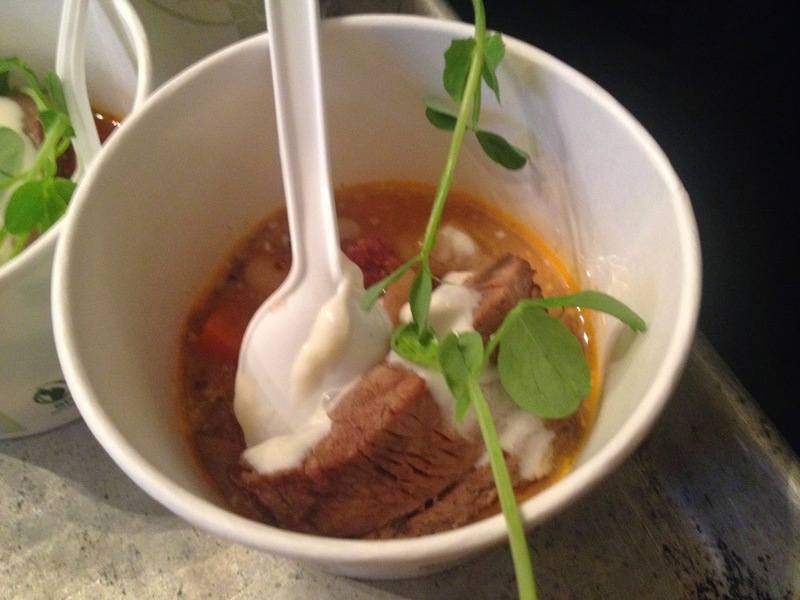 After sampling the food, I'd LOVE to try the restaurants these wineries have to offer!